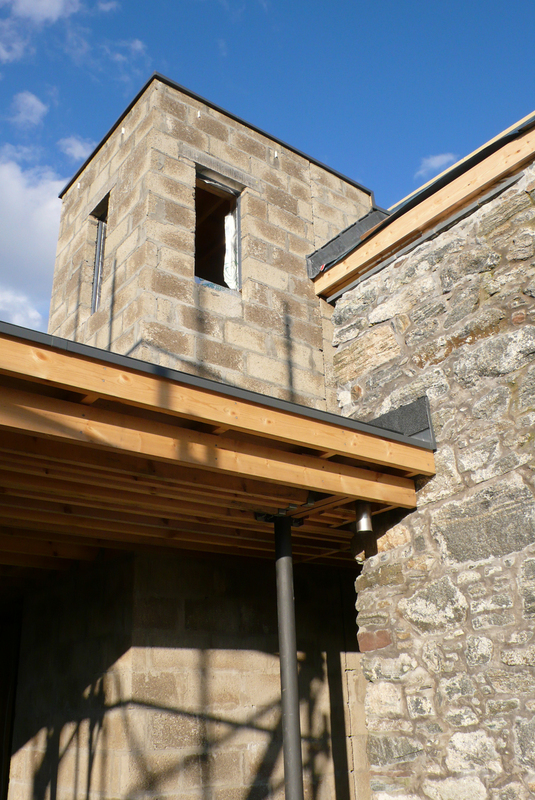 The timber frame is wrapped in aluminsed builder paper which reflects heat back into the building and improves thermal performance. Slating on the west wing is nearing completion. The fascia boards will all be stained black. There are views looking over the living room roof which will eventually have a sedum blanket/green roof installed on it. 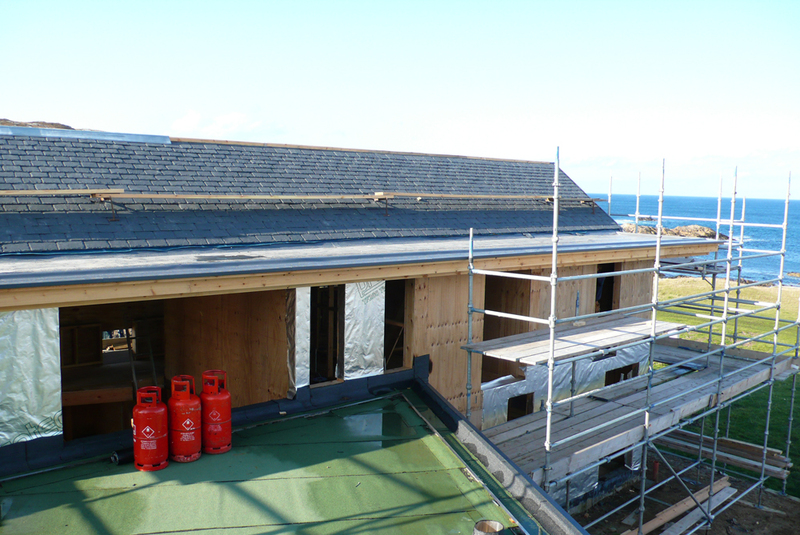 The slating on the pitched roof above the study 'tooth' is complete. Also shown, is a photo of the top of the roof in the ruin. The holes in the gable were a dovecot and will be glazed. When looking from the living area towards the new wing, you can see where the stair will be installed on the left and the space to the right which will be the snug/sitting area. When looking from the living area towards the ruin, the gap on the left will lead to the kitchen and the front door can be seen on the right. 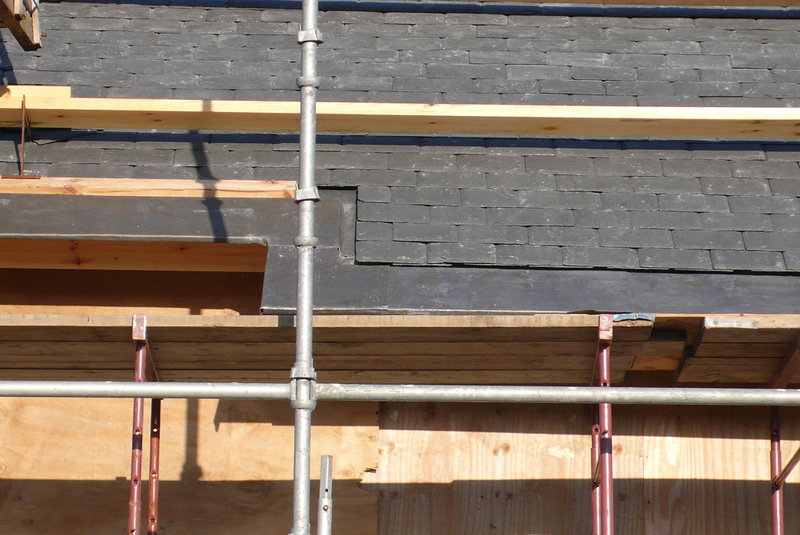 The last photo shows the slating and lead on the west wing and its hidden gutters.